Craig S. Warkol is co-chair of the Broker-Dealer Regulatory & Enforcement Group. His practice focuses on securities enforcement and regulatory matters for broker-dealers, private funds, financial institutions, companies and individuals. Drawing on his experience both as a former enforcement attorney with the U.S. Securities and Exchange Commission and as a Special Assistant U.S. Attorney, Craig advises clients on securities trading matters and, when necessary, represents them in regulatory investigations and enforcement actions by the SEC, DOJ, FINRA and other self-regulatory organizations and state regulators. Craig leads training sessions for clients on complying with insider trading and market manipulation laws and assists hedge funds and private equity funds in connection with SEC examinations. Craig also has experience representing entities and individuals under investigation for, or charged with, securities fraud, mail/wire fraud, accounting fraud, money laundering, Foreign Corrupt Practices Act (FCPA) violations and tax offenses. In his previous roles in the U.S. Attorney’s Office for the Eastern District of New York and the SEC, Craig prosecuted numerous complex and high-profile securities fraud, accounting fraud and insider trading cases. 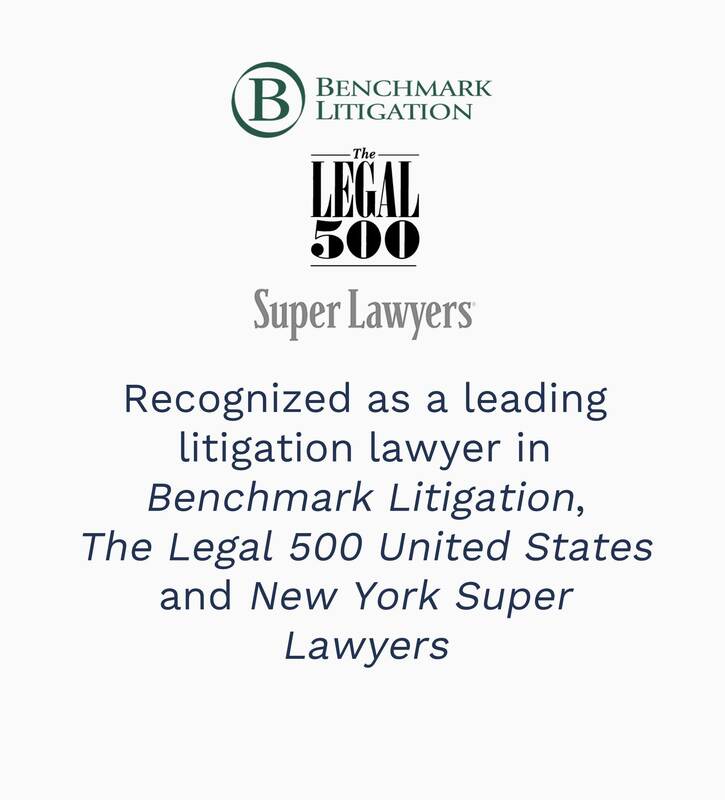 Craig is recognized as a leading litigation lawyer in Benchmark Litigation: The Definitive Guide to America’s Leading Litigation Firms and Attorneys, The Legal 500 US and New York Super Lawyers. He is a former law clerk to the Honorable Lawrence M. McKenna of the U.S. District Court for the Southern District of New York. Craig has written about enforcement actions against hedge funds and other industry-related topics, and has spoken on attorney-client privilege. Most recently, he was interviewed for the article “Execution Enforcement Actions Escalate,” published in The Hedge Fund Journal. Routinely represents and advises a multinational financial services firm concerning issues arising under the federal securities and commodities laws. Represented a multinational financial services company in parallel investigations by the DOJ and SEC regarding trading practices and disclosure issues. Represented a broker-dealer in connection with parallel SEC and DOJ investigations regarding disclosures and valuation issues. Represented the chief financial officer of a public company under investigation for accounting fraud and manipulation of financial statements and SEC filings. Represented several hedge fund managers in connection with criminal and SEC insider-trading investigations. Represented a Fortune 500 company under investigation by the DOJ and SEC for improperly backdating stock option grants to executives and employees. Conducted an independent internal investigation at a billion-dollar public company into allegations of corporate malfeasance by the chief executive officer and global head of procurement. Represented a major energy company in New York State Attorney General’s investigation of public disclosures regarding climate change. Represented a significant hedge fund in connection with the New York State Attorney General’s “pay-to-play” investigations and prosecutions. Represented the chief financial officer of a Fortune 500 company under investigation for backdating stock options. Represented an attorney under investigation by the DOJ for engaging in securities fraud. 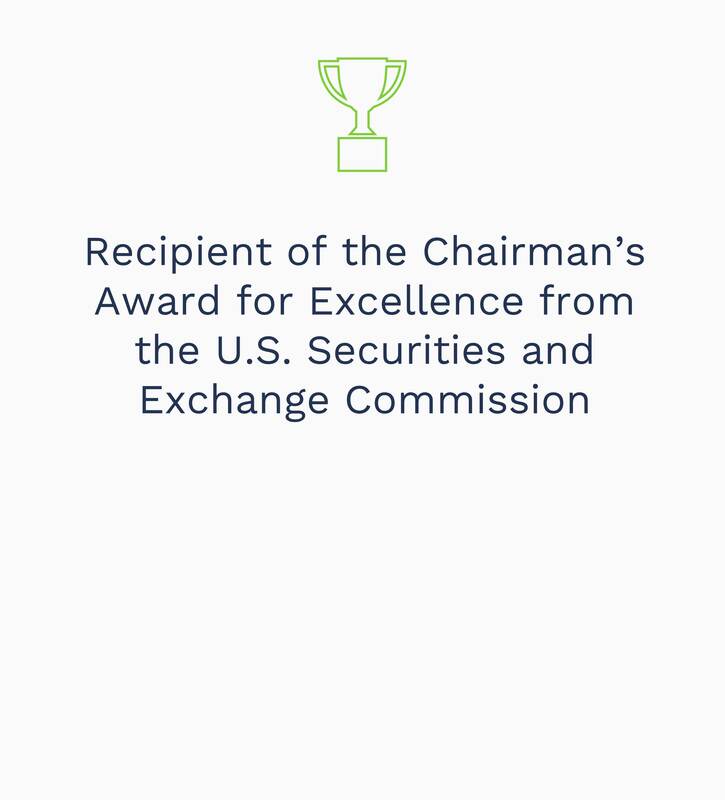 Represented an individual under investigation by the SEC concerning penny stock transactions and corporate identity theft. Represented a principal investor in connection with criminal inquiry for orchestrating a fraudulent initial public offering.